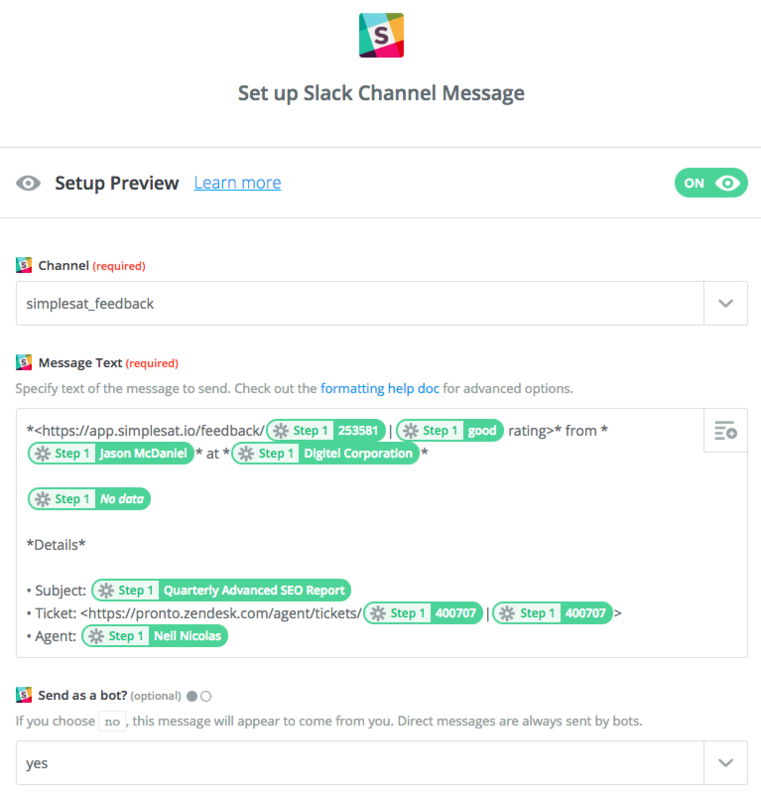 You can send new SimpleSat feedback to a Slack channel through Zapier. Here's how it works. Choose SimpleSat as the Action App. Authenticate with your Slack account. Choose the Channel Simplesat should send feedback to. We recommend setting up a new channel specifically for this purpose. The Message Text field is where you can really customize things. You can start with the suggested template below or build your own. When you're finished, click Continue and test the Zap. You should instantly see the latest feedback from your SimpleSat account in your Slack channel.